This world map is designed to fit the ''world map size gap'' between 0.8k~1.8k.It also have army number friendly territories, and all the normal bonuses are ranged from 1~7 territories. The Distribution of Special Warlords are ''Seperated bonuses'' (worth 1 army per turn) equally distributed all over the map. Review by NinjaNic on 5/19/2015. Is this a new trend? Huge world maps? Review by okasan on 5/24/2015. Epic map! Signature muligan style, with plenty of island hopping. A lot of attention to detail here, didn't spot a single missing link. Difficult but not too hard against 3 AIs (34 moves on first play through). Who knew there was a gap for a 1.3K world map :) Anyway, superbly designed map. Review by Nathan on 5/27/2015. Another solid world map - and you're quite right - we needed one of this size to fill in the gap. This is very well done. The connections appear to be in order, the bonuses are clear and well-balanced. The numerous links between territories permit rapid movement. Review by [ESP] Pablo García on 6/18/2015. Review by Francois Charbonneau on 5/31/2015. Review by indiman112 on 5/31/2015. Review by Mudderducker on 5/24/2015. Review by Talbot on 7/11/2015. Very nice map,realistic and many bonuses. Hope your not looking for a quick match. Review by Kazakhstanintospace on 8/21/2015. Review by Ethan on 8/12/2017. Great Map! Keep up the Good Work! Review by Conqans on 6/13/2015. Pretty cool,it has an nice way to get to places. I don't like the easter island crazy land,though. That's all. Review by kaan4442 on 9/30/2015. Review by maxus217 on 10/18/2015. Review by StarWarsGuy22 on 10/24/2015. Review by OfficialResult on 11/7/2015. Review by [WL] RealMCB on 11/10/2015. Review by greece on 11/14/2015. Review by FrankQuest on 11/27/2015. Review by Guardian3348 on 11/29/2015. Largest map I've played. Loved it! Review by TheBaird on 12/7/2015. Review by Celeste on 12/21/2015. Review by Barron on 12/26/2015. Review by quatrazerov on 1/15/2016. Review by Elektrik on 2/8/2016. This is a great map for a large team battle or a large FFA match. The only thing that is kind of annoying is the number of islands there are, but that's all part of the fun. Overall great map, a good map to play if the regular world feels too small and you want a BIG map to conquer. Review by INSIDE on 2/14/2016. Review by Teeheebee on 3/11/2016. THE ULTIMATE MAP! Superbly detailed. Review by A_B3 on 3/27/2016. Review by Zenoxks on 4/8/2016. Review by Nebuchadnezzar on 5/3/2016. Review by Captain Cartwright on 5/21/2016. Review by Riverice on 5/23/2016. Review by Oliver Fujdiar on 8/9/2016. Review by Sora y Shiro on 8/11/2016. Review by Julius Caesar on 8/27/2016. Very big, expansive and beneficial map. This map is a very accurate representation of the Earth and especially because this is the closest to perfection on a 3-D map and I like it because it makes sure that the islands and stuff like that aren't too expansive. I also like this map because I can use this for World Conquest because I can't unlock the Mega Maps yet and so this is the closest to unlocking big maps like "Issander's Huge World". Review by Andrea Cibrario on 9/6/2016. Review by DanWL on 10/4/2016. Good design and bonus layout. Review by Sakura Tenshi on 10/28/2016. Review by Woomero on 12/10/2016. Review by Andalorium on 12/13/2016. liked the map, easy to read and not too crowded like some of the larger world maps. Review by Gunk on 1/14/2017. Review by exorcist on 1/29/2017. Review by Kuba on 3/3/2017. Review by aking86242 on 7/4/2017. Review by Connorus on 8/20/2017. It needs more autonom comunities is Spain and the Rusinyol in France. It needs Andorra. Review by UnbelievableCider on 9/9/2017. A bit hectic towards the end of a game, but nice and relaxing to avoid early confrontation in a game. Great map for a large amount of players or a small amount of players without a life. Review by spanish mapper on 9/25/2017. Review by Trix on 10/17/2017. Review by Blake on 10/22/2017. Review by GermanMentality on 11/14/2017. Had a blast i recommend this to all! Review by Jankywanky on 1/29/2018. Review by t7soldier on 4/1/2018. Review by Mokieman on 4/2/2018. Review by TrashPandaMapperYT on 4/15/2018. Many territories, good bonus distribution. Review by Joe Moore on 5/8/2018. Amazing map. Bonuses are very fair, and borders are accurate and concise. The game gets boring as it drags on towards the end due to its massive size as you struggle to figure out where to place over a thousand units. Or alternatively, it drags on as the guy with over a thousand units struggles to steam-roll you over due to how many territories are on this map. Review by peras on 5/19/2018. What is the meaning of this map?????? Review by Michael Bayless on 7/20/2018. Huge map that shows how easily you can forget a particular battle zone as you expand your army. This is the size risk map i always dreamed of. Review by Block head on 8/16/2018. Review by Adam on 10/24/2018. Review by Yestermorrow on 11/22/2018. Good map, well placed territories and good bonuses. 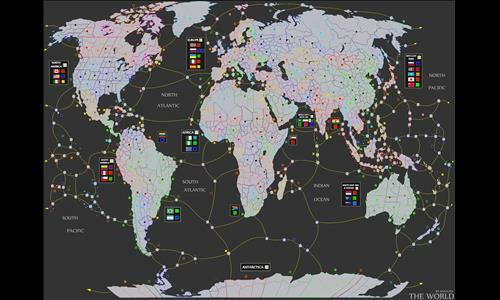 Awesome map, love how the countries are divided up into sectors. Not too huge to be too complicated, but just right for large team games. Review by WorldBuilder on 12/29/2018. Great map but jut hard to see some of the moves on the smaller territories. Finished in 29 moves on first attempt. Review by chiguire123 on 1/7/2019. Review by Keith on 1/26/2019. Review by ALPHA on 2/3/2019. Review by danorak56 on 2/24/2019. As far as I know, the most expansive map. Review by LimeL on 3/2/2019. Review by Adam Krzemiński on 6/13/2015. Review by TJohn2008 on 8/8/2015. great map. Gotta keep on your game, lots of work on the diplomacy side. Review by Hostilian on 9/13/2015. Review by Rovan on 9/14/2015. I like how there is a lot of different territories. Review by Deephouse on 1/8/2017. Review by DonaldTrump on 2/3/2016. Review by ObeyMyDog on 5/25/2015. 3 out of 10 people found this review helpful.